Chihuahuas make loving and affectionate pets. They're generally low-maintenance and even rather inexpensive to feed due to their small size. However, health problems may be a major concern and expense of Chihuahua ownership. Here are some common health problems experienced by Chihuahuas and ways to avoid them when selecting or interacting with your Chihuahua. Poor eyesight. Like most toy breeds, some Chihuahuas have problems with their eyes. At first, you may notice your pet experiencing trouble when seeing during specific times of the day (just in daylight or just at night). Eventually, this can progress into total blindness. Collapsing trachea. Many new Chihuahua owners are terrified upon hearing a Chihuahua cough rather violently. The severity of it shakes the dog's entire body. This is caused by a collapsing trachea. With this condition, a dog has trouble breathing when active or excited (and Chihuahuas love to bounce around and get very happy when their owners come home). Dummies.com suggests that smokers cease smoking around Chihuahuas because the smoke settles near a Chihuahua's height (the smoke can worsen difficult breathing). Petellar luxation. This condition describes disruption in the hind legs around the knee. When this occurs, the kneecap can slip. This causes lameness and pain (your dog may yelp or have trouble walking). Veterinarians can treat severe cases with surgery. Hypoglycemia. As with people, dogs can be hypoglycemic. This is especially prevalent in small dogs like Chihuahuas. Hypoglycemic dogs may experience loss of appetite and seizures. You can try to control hypoglycemia by feeding your Chihuahua a sugary food when the dog exhibits symptoms (syrup, honey or vanilla ice cream), but avoid chocolate, which is toxic to dogs. Providing more meals in smaller portions may also help your pet. When selecting a Chihuahua, keep these items in mind. 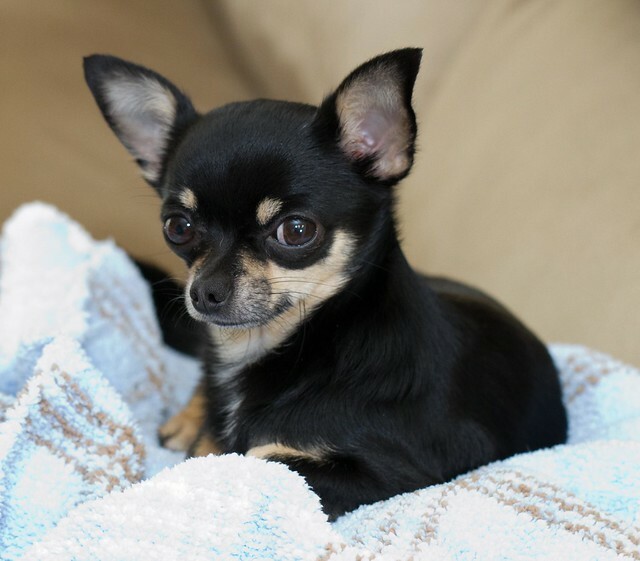 Teacup Chihuahuas and smaller members of the breed are often at increased risk for health problems. Look for a social and active member of the litter or consider a Chi mix to avoid health problems. If your Chihuahua exhibits any concerning behaviors or if you believe your dog may have a health problem, consult a veterinarian. This overview is not meant to be used for diagnosis and is informative in nature only.